Are the shift knobs different between the DE and the ES? My es model has a leather one. Chicken little ,,,, the De is like Black vinyl . And the ES is leather . I wouldn't be surprised if the same knob was used in the Mirage ES and Lancer/Evo. After all, the ES steering wheel is lifted directly out of the Outlander. I wonder what other 'cross platform' parts there are. Really hoping for seats/seat railings. Cobrajet ,, thanks for that Nice picture!!! Is that your Mirage? It is not a Mirage at all. 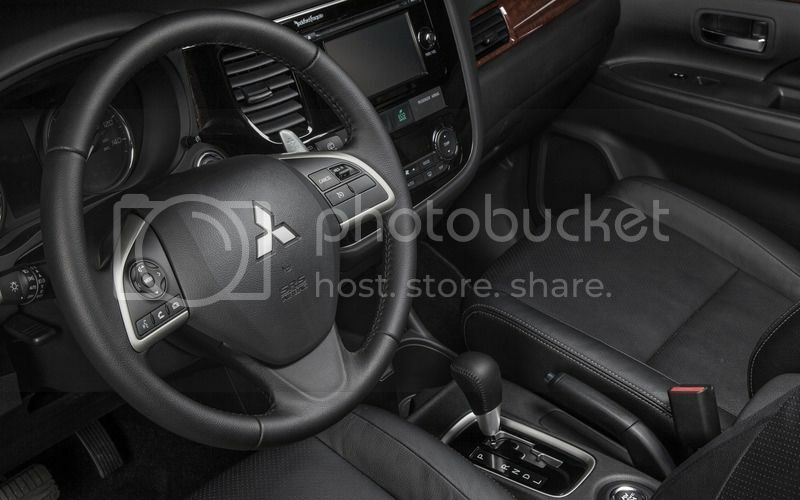 The pic is the interior of a 2014 Outlander. The Mirage ES and the Outlander use the same steering wheel. Oooops !!! I saw the TV screen and thought it was a ES model. At a close look I can see it's the outlander. It's sharp anyway!